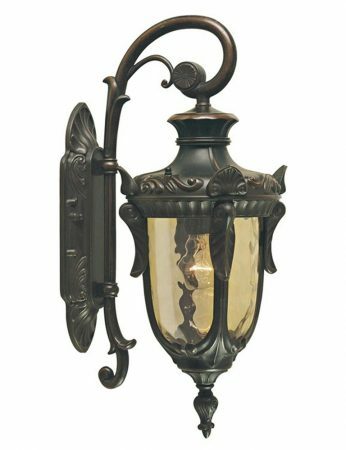 This Elstead Philadelphia downward 1 light small outdoor wall lantern in old bronze finish with amber glass and rated IP44 features distinctive period style. Mounted to the wall, with what could be described as an old fashioned feathered edge finger plate that you would find on an older styled door, in a long oblong shape with rounded corners. Around the perimeter is a pinched cathedral style window edged moulding. The ‘P’ shaped arm has curvaceous finials that cradles the detailed small hanging lantern. Finger mouldings around the top rim, leaf reveals, lower finial and amber tinted glass creates the most wonderful warm, welcoming light which will not appear as stark as a clear glass. 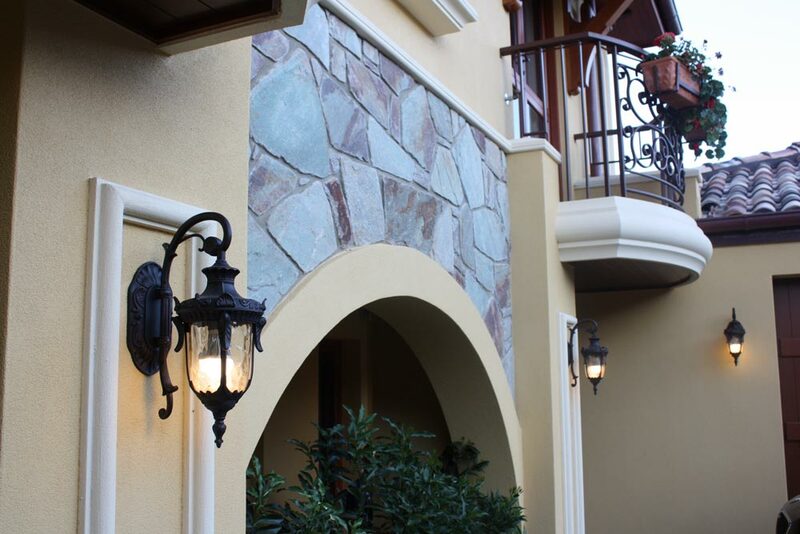 This exterior light is supplied by Elstead Lighting, a British company that specialise in the manufacture and distribution of quality decorative lighting such as the Philadelphia downward 1 light small outdoor wall lantern in old bronze finish with amber glass and rated IP44 you see here.